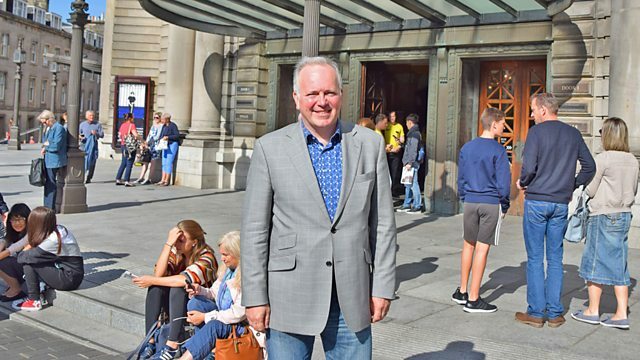 Jamie MacDougall presents highlights from this year's Edinburgh International Festival and looks heads to Proms In The Park at Glasgow Green. Performer: Ayoub Sisters. Orchestra: Royal Philharmonic Orchestra. Performer: Nicola Benedetti. Ensemble: Academy of Ancient Music. Director: Richard Egarr. Aretha Franklin - Greatest Hits 1960-. Performer: Jean‐Guihen Queyras. Performer: Alexander Melnikov. Performer: Tommy Smith. Performer: BBC Scottish Symphony Orchestra. Performer: Eivind Holtsmark Ringstad. Performer: David Meier. Performer: Roger Vignoles. Singer: Dorothea Röschmann. Asylum / Reprise / Nonesuch / Rhino. Performer: Viktoria Mullova. Performer: Katia Labèque.